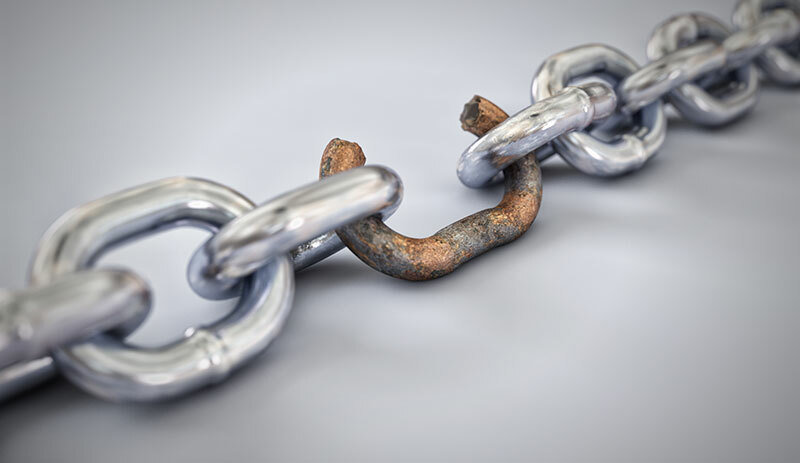 No manufacturing operation is immune to supply chain risk. Supply chain problems can occur at any stage of the product lifecycle, and – for those who cannot avoid risk (think everyone) – a “belt and suspenders” mindset is vital to preparing for potential disruptions on the horizon. To minimize risk exposure and be better prepared when supply chain problems crop up, a risk avoidance professional stressed the importance of being proactive rather than reactive – and emphasized that companies can capitalize on their investment in contingency planning by using it as a competitive advantage. Erika Melander is the industry manager leading the manufacturing segment at Travelers, the property casualty insurance company with the iconic red umbrella logo. In an extensive interview, she provided expert guidance on contingency planning, overseas supply chain links, employees, equipment and identifying specific pressure points. According to Travelers, the most effective contingency plans cover the entire manufacturing operation, with a special emphasis on responding to equipment issues. To be prepared, write up a checklist that – at a minimum – covers all equipment scenarios including key machines, spare parts inventory, sources for specialized rental equipment and local repair contractors. And, ask what relationships with other companies are in place so that one of those companies might be able to lend a hand in an emergency. With extreme weather, trade tariffs and global politics having an ever-increasing impact on foreign-sourced materials, proactive manufacturers can get a jump on managing their own overseas risk factors with a combination of knowledge and well-designed procedures. Knowledge is power, whether it be knowledge of regulations and standards, intel on overseas suppliers or thorough documentation of everything related to international business dealings. Some common procedures that give greater control over the risk of dealing with overseas suppliers include approval processes for changes, rigorous quality control programs and independent product testing. 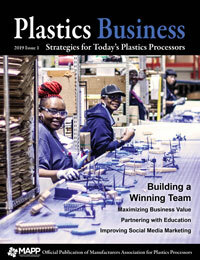 Plastics Business asked Melander about knowing upstream overseas suppliers. Does that mean where are they, and what they are susceptible to? What might go wrong over there, and do you want to take that risk or consider using a different supplier or having a variety of suppliers available? Disaster isn’t the only risk to an overseas supply source; uncertainty about the impact of US tariffs is rampant throughout the manufacturing community. “The tariffs certainly are something we’re thinking about, and we’ve heard from some companies that maybe China is not where they’ll continue to do their manufacturing,” she said. Monitoring quality control for supplies arriving from overseas also is a key part of creating a contingency plan, and Melander discussed what is most important about the quality control process. In addition to planning for product and material sourcing, Melander urges manufacturers to consider the other end of the product lifecycle. When bringing additional equipment into a plant and getting it online, Travelers recommends that manufacturers prepare not only for the inevitable breakdowns that will happen over time but also for any custom modifications required at installation. Will costly or time-consuming modifications be needed before a new machine goes online, and will those modifications complicate future repairs? Facilities that are prepared for repair also estimate lead times for technician visits, calculate the time necessary for repair part deliveries and confirm that new parts will be available for older machines. Travelers understands that manufacturers rely on specialized machinery that is, in turn, operated by specialized, highly trained employees. If those players are sidelined or worse, bottlenecks or even complete production shutdowns may occur. A continuity plan should identify the most valuable players (MVPs) in the facility, ensure that the alternative operators have adequate training and real-time practice, and draw up a succession plan for key players. Each company is different, with a complex set of upstream, in-plant and downstream components. Travelers realizes that a strain or a break in any link in these unique supply chains may disrupt production or order fulfillment. The Travelers Supply Chain Pressure Test (https://www.travelers.com/quiz/supply-chain-management/supply-chain-pressure) presents a short series of questions to gauge a company’s distinct supply chain strengths and weaknesses and, in response, provides useful suggestions. The tips help manufacturers assess the possible risks upstream with their supplier/material sources, identify the most crucial players and processes in-plant, and imagine complications that may arise downstream such as logistics snags and product recalls.